A new type of fertility treatment offers high success rates and a lower price tag. Learn more about it and the well-known doctor bringing it to the Tri-State. Cincy Chic: What is The Fertility Wellness Institute? Dr. NeeOo Chin, Founder of The Fertility Wellness Institute: Founded by NeeOo W. Chin, MD, in 1987, the Institute has helped to conceive more than 10,000 babies. 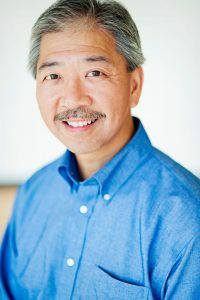 In 2018, Dr. Chin was again named as one of America’s Best Doctors. Doctors are selected based on nominations by their peers, a survey of over 230,000 of the nation’s leading medical specialists, department chairs, residency program directors, vice presidents of medical affairs and presidents of the nation’s leading medical centers and specialty hospitals. Dr. Chin was instrumental in the first successful gorilla IVF procedure in the world. Cincy Chic: Can you tell us about the new INVOcell treatment you’re offering? Chin: INVOcell is a patented medical device used in the treatment of infertility that enables egg fertilization and early embryo development to take place in the woman’s body, in vivo. The INVO Solution allows women to incubate their own gametes, providing a psychological benefit while reducing the risk of wrong embryo transfer. Utilizing a mild stimulation protocol, it decreases the number of oocytes required, which may reduce the risk of severe ovarian hyperstimulation (OHSS), reduce the risk of multiple births, and/or reduce the need for embryo cryopreservation and storage. As a lower cost option to traditional IVF, INVOcell expands access to patients who otherwise cannot afford the traditional method or would prefer a more natural, cultural, or religious appropriate choice. The Fertility Wellness Institute is the first center in the state of Ohio to offer INVOcell to its patients. Cincy Chic: What makes this treatment unique? Chin: INVOcell represents a new and exciting approach to fertility. INVOcell’s ability to offer a cost-effective solution with strong success rates was a key factor in my decision to open The Fertility Wellness Institute. I look forward to offering this innovative alternative to families in southwest Ohio, northern Kentucky and the southeast Indiana region. Cincy Chic: Where is the practice located? Chin: The Institute is located at 7671 Tyler’s Place Boulevard in West Chester.